Finally Globe released the most awaited iPhone 4 white, begins on last Saturday (May 7,2011)-available in Globe superstore nationwide under the Globe MySuperPlan. Grab the unit at Plan 3799 for 16GB model and at Plan 5000 for the 32GB model. It is also available with one-time cash out at lower plans or via prepaid phone kits. “The long wait is over. 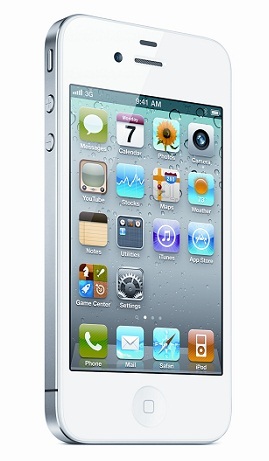 Globe is changing everything again by bringing the white iPhone 4 exclusively to mobile phone users in the country. 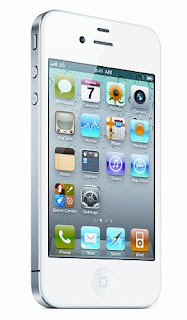 The white iPhone 4 is perfect for customers who want to personalize their iPhone 4 experiences with a different look while keeping everything that makes iPhone 4 amazing,” said Peter Bithos, senior advisor of consumer business at Globe Telecom. These white models of the iPhone 4 are also available in Austria, Australia, Belgium, Canada, China, Czech Republic, Denmark, Finland, France, Germany, Hong Kong, Ireland, Italy, Japan, Luxembourg, Macau, Netherlands, New Zealand, Norway, Singapore, South Korea, Spain, Switzerland, Sweden, Taiwan, Thailand, UK and the United States. • Keyboard, Language and Dictionary support is available at 40+ languages. •Rechargeable lithium-ion battery, could run up to 300 hours in standby mode and 7 to 40 hours of full usage in 3G, 2G, Internet,Video and Audio Playback, etc. Cons: No External Memory Slot, No FM radio, No Java.